And that’s where I was and what I was doing on my Mama’s birthday back in 2001, now simply known as 9/11 and serves as one of my generation’s flash-point events, similar to the JFK assassination and the Challenger explosion. This year, her birthday was much more low-key…a large chunk of family hit one of the better fish camps for supper tonight. 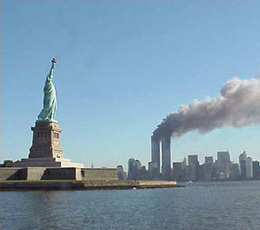 But we’re still living in the post 9/11 world, and that won’t go unremembered every day from now on.